Arizona’s Republican Senator Jeff Flake made a hair-raising speech on the Senate floor today, announcing he will not run for re-election and declaring he “will no longer be complicit or silent” in the face of President Trump’s “reckless, outrageous and undignified” behavior. Now, ten months into his presidency, Trump has shown stalwarts of his own political party as well as the rest of the nation that he is unfit to lead the country. 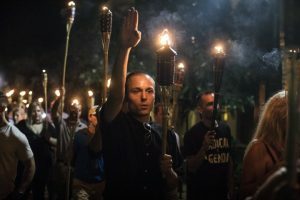 The question now is, what can we do about it? 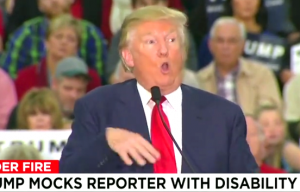 Donald Trump during his campaign mocked a disabled reporter. Now school children are doing the same. Wow Anne, it sounds like you can hear us now. Well, that’s a good start, don’t you think? And just think, only three more years in his first term. So much to love and so little time. But we’ll just chug along, doing the best we can. And if you think you can dismiss these investigations as old news, well hold that thought, and besides, if Trump is so bad, why don’t you just impeach him? Maybe you should switch TV channels for awhile? The world is passing you by. Or you can roll up your sleeves, go to work and the address your own status quo problems. Bernie’s out from under the bus and he’s renounced that whole Democrat thing. You know, and I sort of like the old curmudgeon. And he is a socialist with three summer homes and a sports car, so what’s not to like? And why should the young people have to do your job? No, we’re just going to hang on to Trump, clone him, and just pass him from generation to generation. Just think in terms of four more years into perpetuity. Isn’t it strange that you can hear us now, but you couldn’t hear us just a few short years ago? What do you suppose caused that? You think it could be something in the water? And think of it this way, we do have your attention….right? And how can that be anything but a good beginning?? But you’ll learn to look on the bright side before you’re through. Can’t you see that we all did? And eventually you’ll find that Trump is an acquired taste. Now tell me true Anne, did you guys really think it was a great idea to sell one fifth of our uranium reserve to the Ruskies? Or was that just all about the money? After all, we’re all Americans first, right? And we were so looking forward to voluntary cooperation and climate change politics, based on sound scientific and biological information. Now, it looks like we’re just going to have to make do with the clean coal burning Trump train, going forward. And I’m still trying to figure out what happened. You guys used to be so reasonable. Was it something we said? And Trump and vulgar in the same sentence? I didn’t even know he smoked “dipped” Cuban cigars in the oval office? See what I mean? When we communicate, it’s amazing what can be learned? Now, ain’t that a corker. Don’t you find it a bit strange that the DNC and the Clinton campaign paid twelve and a half million dollars to obtain and publish the so called Trump/Russian collusion dossier? And yet everyone there claimed no knowledge of who could have possibly commissioned its construction. If it was just “opposition research”, why did they go to so much trouble to cover up their involvement. Interesting don’t you think? Busted. 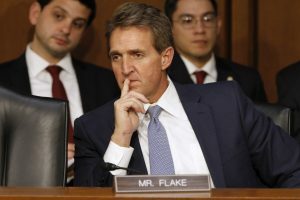 No doubt Jeff Flake is a true gentleman status quo politician. And it’s totally understandable that he would be a bad fit for the Trump administration. You see, we sent Trump to Washington, not as an enhancement to politics as usual, nor was he intended to be an asset to the swamp decorum and protocol. We hired him to work for us, because he’s a knife fighter. And I must say, so far he is serving in that role with honor and distinction. A few days ago, I told you that the never Trumpers wouldn’t be running again, or at the very least they wouldn’t be running as Republicans. And I think our work is about finished there. And we can turn our attention to the Democrat party status quo and the Russian collusion involving the Clinton campaign. And who knows where that will take us? Perhaps all the way to the top? And who’d a thunk that the swamp would be self draining? That should save some time. And I understand there’s now five investigations, currently underway into the Obama administration and Clinton campaign’s collusion with the Russians, as well as the Uranium one deal and the foundation. But alas, our work is never finished. But we’re off to a good start don’t you think? A real “American Patriot” would consider the reprehensible behavior of our president and the utter destruction that is happening to this country NOW, which is bad, unless you like authoritarianism. For example, Republicans just voted — by a single, thanks to VP Pence — to take away your right to access the courts for justice after the banks commit fraud against you and otherwise rip you off. Any they certainly do it. Just how is that “a good start,” I’d like to know? The Russian involvement in the TRUMP campaign is what is at hand now since the election. The Hillary issue is long over, and you now need to get past that and see the real issues at hand. Trump is the real danger to our role in the world and our sovereignty. His behavior is beyond the pale. He is fraudster, a bald-faced liar, he is inexperienced, lacks knowledge, is impulsive, vulgar, thoughtless, self-centered, and doing so much to encourage division in our country. He is too crude for children to even listen to. The Russians sought to divide this country and they are succeeding handily, thanks to people who voted for Trump. Shame on all of you. You’ve brought this country to an unheard-of new low. 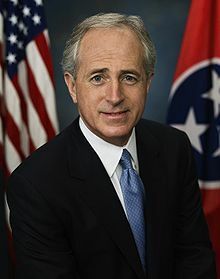 Admirable speech, a rare Republican in a crowd of cowards.